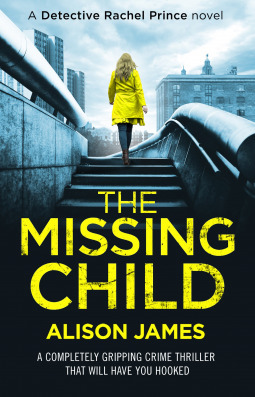 From Goodreads.com: A MISSING CHILD. A DEAD WOMAN. A SHOCKING MYSTERY. This was unfortunately one of those novels that despite some pretty interesting twists and turns, just ends up taking too long to get there. I think this author definitely has potential, and there were times when I was thoroughly engrossed in this story, but for the most part I found it entirely too easy to put down and walk away from. And while part of that is definitely the fact that is very much is a classic "police" story in that there is very little action per-say, but when things break - all hell breaks loose. There are so many twists and turns that I feel as though it would have been a least a solid four stars if not more if there were just a couple of changes. Let's start with the two main "police" leads. Rachel makes it very hard to like her. She apparently made a bad choice when she was younger, and instead of dealing with the consequences she continues to avoid them, acting like a spoiled child instead of the woman she supposedly is. She continues to act as though she feels she is "better" than everyone else, whether she is referring to her own family, or simply trying to explain why she doesn't like "girls nights", instead of coming across as complex, she comes across like a snob. And don't even get me started on the fact that she made very inappropriate advances towards a married man. If we take a step back from Rachel, we are left with her partner Brickhall, and well. It's very hard to like, or even have any sympathy for someone who not only uses a police database to "find" someone's home address so they can casually "run into them", but who also "copies" said person's phone number from court files to contact them in direct violation of their duty. But then to have them be surprised and dare I say angry, when the object of their "affections" gets upset and files a complaint against them? It was a ridiculous story-line that did nothing to endear the reader to the characters, nor did it really do much for the overall main plot. As to the overall plot. It was interesting if a bit on the unbelievable side. It actually kind of showed police in somewhat of a negative light. It was nearly unfathomable how no one had figured it out before Rachel and company got on the case. Even considering all of that, I still believe this story may appeal to those who enjoy police procedural/whodunit novels. I would read more from this author to see how she grows from here.